What do you get when you combine the NFL’s most charismatic star and entrepreneurs biting at the bit to become the next business success story? 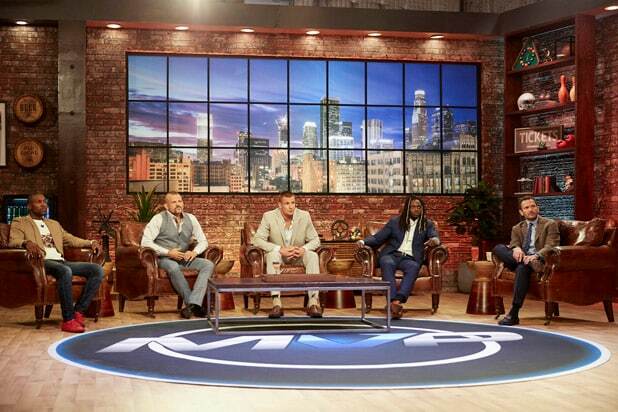 The answer is reality show “MVP” — and the opportunity for a new company to get a Gronk-sized boost. Russ Axelrod and Jamie Patricof’s “Shark Tank”-style show (available on Verizon go90) wrapped up filming on its second season just before Rob Gronkowski headed back to New England Patriots training camp last month to defend the team’s Super Bowl LI title. These are serious words from Gronk — who’s known for being the most hyped, fun-loving player in the league — but he knows how to knuckle down to business when it matters, whether on the field, in the gym or in the boardroom. And don’t worry, he has a blast on set too. “It’s a lot of fun doing it — being with other athletes, seeing these businesses come in … listening to pitches, ideas and reasons why they want us to join their companies and help them expand,” Gronkowski said. “It’s also just great seeing other athletes and what they’re all about, helping to guide the way through the stuff off the field,” he added. 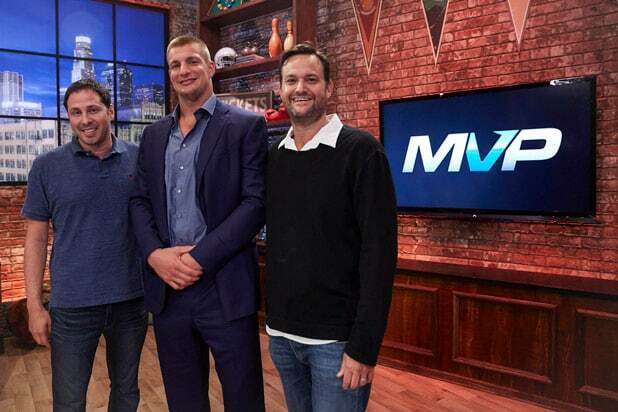 For Season 2,Gronkowski has been joined by athletes at the top of their sport such as Jacksonville Jaguars defensive tackle Calais Campbell, NHL All-Star P.K. Subban, two time light heavyweight champion Andre Ward, UFC champion Chuck Liddell and NFL All-Pro Terrell Owens. When TheWrap was on set, Gronk and T.O. were going head-to-head in a vicious game of Pictionary along with destroying each at the basketball net throwing free throws … so yeah, it’s not all serious. Aside from his co-panelists, Gronkowski has been pretty impressed with the businesses that were pitching to them. “There are a lot of cool companies out there that are doing well but just want to expand and get them some buzz,” he said. Standouts for Season 2 were “a margarita machine, like a coffee espresso machine but you can make cocktails in them” (go figure! ), the Maximus clothing line for big and tall people (“I definitely need that!”) and a unique skateboard concept. As every NFL player knows, the career-span of an athlete is unpredictable, and very few players can say they’re still in the league at age 40 like Brady. Gronkowski knows better than anyone that injury can sideline you at a moment’s notice and you always have to plan ahead. TheWrap also spoke with “MVP’s” creators, Axelrod and Patricof (above), about how the show came about — and how, like any booming business, it plans to expand. “We’ve all seen these athlete endorsement deals but we never know the inner workings of them,” Axelrod said. 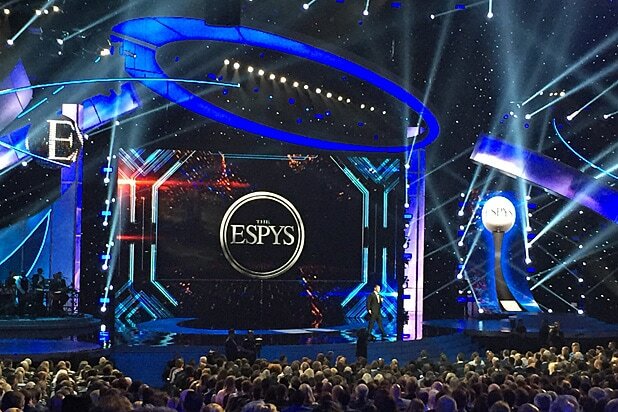 “There’s been an explosion of business shows, start up-ism and entrepreneurism, so we wanted to do two things — give these athletes a chance to meet the entrepreneur, and give them a chance to get in front of athletes like Rob, which they would never have the chance to do before. They now have that platform while entertaining the viewers at home — and if they do strike a deal then this is a natural way to kick off that promotion. So everybody wins,” he added. 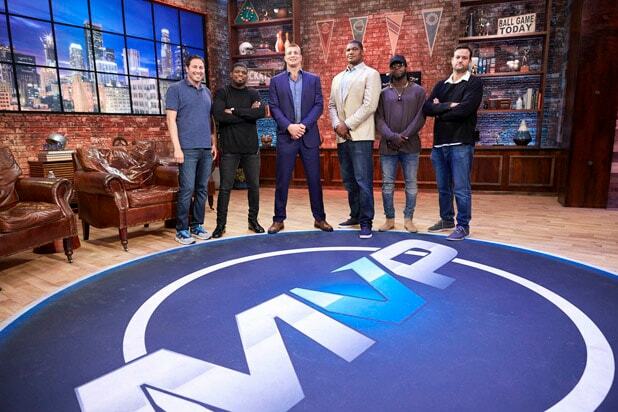 Season 1 of “MVP” is currently available on Verizon go90 here. Season 2 will go live later this year.